SSD Web Solutions comes with complete web services for your Small Business, helping you to grow it. And become present everywhere. 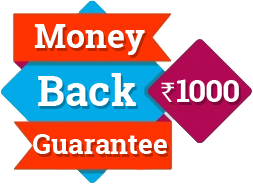 Domains, Web Hosting, Reseller Hosting and Bulk SMS Services. Everything you need! They know the problems faced by small business. And this goes from choosing a fast and secured storage with award-winning 24/7 support to risk-free guarantee. SSDIndia is one of the best website hosting providers in India. 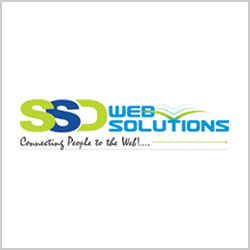 SSD Web Solutions provide end to end web services under one roof. From registering your small business to consulting, getting your website online wasn’t so easy before. 1) Intel Xeon E3-1271 with 32 GB RAM. 3) US-Based Servers for Premium Bandwidth. 4) 99% Proven uptime - monitored by Hyperspin. 5) Superfast Hosting Server With Litespeed. 6) Host Your PHP Website With MySQL like Wordpress. 7) cPanel Hosting With Cloudlinux For Isolated Accounts For Security. 8) Free Let's Encrypt SSL. Fully Managed Hosting Services. 9) 99% Proven Uptime by Hyperspin. Promote your business with bulk SMS and reach out quality clients. They are registered Tele marketer in India. They help you to promote your business and services using Bulk SMS technology. Genuine delivery reports and promotional SMS framework that allows you to solve quicker your marketing problem. And, now it’s easy to get your clients notified with Transactional SMS alerts. Even more – it’s web based. You’ll not need any software. Services provided by SSD India is good. They have good support team and affordable hosting packages. SSD services are recommended to small business. I was using their services for more than a year and found very helpful. Ssdindia provides the fast services. And I used to share my experience with their support team and they suggest me the right answers. Their services are very helpful. I'm using this provider cloud services from past 4 months they have the best and helpful service provider with friendly Cpanel features. I have also contacted their team and got much useful information related to the services.